To all those who walked the hard miles but did not make it. You will never be forgotten. 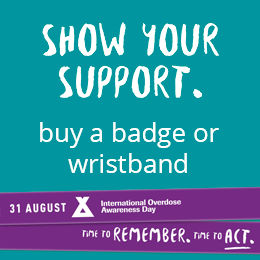 Remembering those who have died or been injured because of drug overdose is an important part of International Overdose Awareness Day. If you would like to commemorate someone, please add a Tributes here. Tributes will be posted on this site as soon as they are approved. [Please be aware that as this is a public forum, any use of profanity or personal attacks in this section may lead to the Tribute not being published].